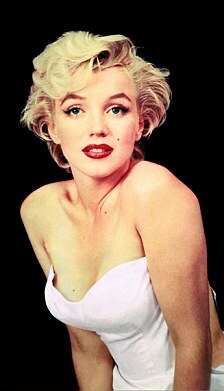 Amusingly, a widow whose husband’s bones rest above Marilyn’s is auctioning off hubby’s tomb above the late movie star in order to pay off her 1.6M pound mortgage. My wife is #1, of course. Sometimes a picture really does say 1000 words, doesn’t it? 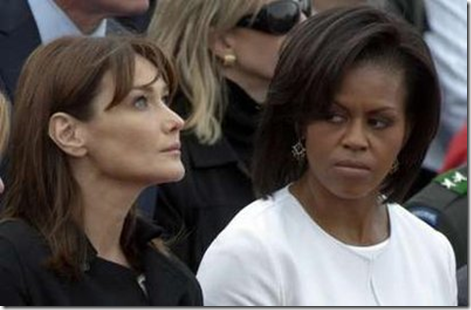 Not a very classy way to represent one’s country. I like Kid Rock’s music but not his foul-mouthed lyrics, many of which are nearly blue as the writing on certain not-to-be-named liberal web sites. But I have to give Kid this – he knows his limitations and professes to live within them, at least in regard to politics. "I truly believe that people like myself, who are in a position of entertainers in the limelight, should keep their mouth shut on politics," the rap-rock musician, 37, tells CMT Insider. "Because at the end of the day," he goes on to say, "I’m good at writing songs and singing. What I’m not educated in is the field of political science. And so for me to be sharing my views and influencing people of who I think they should be voting for … I think would be very irresponsible on my part." Rock on, Kid. But how ’bout turning the verbal fog down to something like a PG-13 for me? Alexander Solzhenitsyn, author of The Gulag Archipelago, has died at the age of 89. Happily he lived to see the end of the Soviet regime that his books excoriated. Dry stuff, for those who haven’t read him, but his books revealed horrors that, by the end of Gulag, became completely banal as a result of their commonness. It should be understood that the gulags Solzhenitsyn wrote about were the inevitable result of the concentration of power into the hands of a few. It’s a lesson that we would do well to remember in a time in which an American president is unwisely taking the first steps down the road to a dictatorial executive office. While a monopoly on power can and often does prove effective at achieving a set of goals in the short run, the good cannot last. As George Paloczi-Horvath described in The Undefeated, the good achieved by first-generation leaders in such a system is usually undone by the corruption of those that follow, just as Lenin’s achievements, such as they were, were obliterated by the terror of Stalin and his 5 year plans. While Solzhenitsyn was skeptical of western democracy, it remains the best system for ensuring that governmental actions conform to the public’s will. 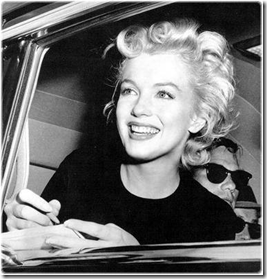 Some celebrities fame is so great that they only require one name to identify them and Marilyn Monroe is surely one of them. I first became a fan of hers in the late 1970s after seeing this picture in Parade magazine. Pretty hot stuff for a 12-year-old from Nowheresville, Indiana! Marilyn’s been dead for over 45 years but her name was back in print today because an X-rated video shot during her pre-fame days was sold for a cool $1.5M to an unnamed New York businessman who vowed to lock the film up "out of respect." Hopefully the video’s new owner will keep his word and keep the movie out of public view. Most of Marilyn’s fans would, I think, prefer it that way. I can’t help but wonder whether the film, possessed by members of the mob and then by J. Edgar Hoover’s FBI, had anything to do with her death. It surely wasn’t something the famous actress could have been proud of and might have contributed to her suicide, if that’s what it was. Or someone who was aware of it could have used it for leverage against her, perhaps in regard to her husband, straight-arrow Joe Dimaggio or even John or Robert Kennedy. Or perhaps it meant nothing at all to her. We will probably never know the answers to those questions and that’s probably for the best, too. Whatever the origins of the film – the "casting couch" comes to mind immediately – they point backward to a time in which women like Marilyn had to "use their assets" to get what they wanted. That’s just sad, and all the more so because it’s still prevalent in Follywood today. But we’re still lining up to see the movies they’re pumping out, so it must be OK.
Marilyn’s troubled life and premature death are America’s somewhat naughtier version of Princess Diana. 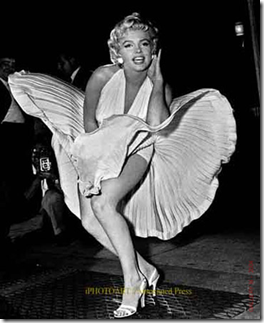 This latest revelation reinforces the tragedy of Marilyn’s stardom and the price it cost her to attain and maintain it.